At Premier Personal Care, Inc. we honor the importance of proper care for senior citizens. Since our founding in 2008, we have worked with a wide range of clients to enhance their lives and allow them as much freedom and independence as possible. Our highly-trained caregivers perform a variety of non-medical services to assist our clients in their everyday lives. 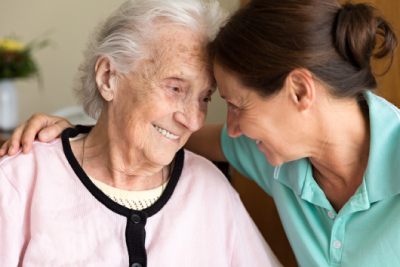 Caring for an elderly loved one is an enormous responsibility for any person or family to undertake. Premier Personal Care, Inc. has the experience and training to help with that responsibility. Our caregivers are available 24 hours a day to provide non-medical, in-home help tailored to each client’s individual needs. At Premier Personal Care, Inc. we understand the responsibility that our clients entrust us with. That is why all our caregivers undergo a rigorous screening process prior to their hiring. Caregivers are also trained in the homes of clients before they begin work on their own. This allows them to meet clients they may be working with in the future, as well as gain experience. Caregivers can go grocery shopping, water plants, walk dogs, clean and fold laundry, and even prepare meals. Along with any errands and household chores, our caregivers also provide companionship. Clients and caregivers often share stories, watch television programs, play card games, or go on walks together. These services allow our clients to have more freedom in their day-to-day activities. This also helps to relieve some of the responsibility of family members, allowing them to visit with their loved one, as opposed to running errands. In-home care has many wonderful benefits for elderly clients. Senior citizens are less likely to injure themselves in their own home, as they know the layout and quirks of their residence. A new facility, with unknown steps, rugs, and light switches, is often a cause of elderly injuries. Familiar surroundings are also helpful for forgetful clients, or those who are suffering from diseases such as Alzheimer’s or dementia. Having spent years, and in most cases decades, in the same home, clients know where everything is and where it goes. They do not have to waste mental energy remembering which drawers the silverware is in, or which way to turn the shower knob for hot water. Without this stress, clients in their own homes are often mentally sharper. To learn more about Premier Personal Care, Inc., contact us today.